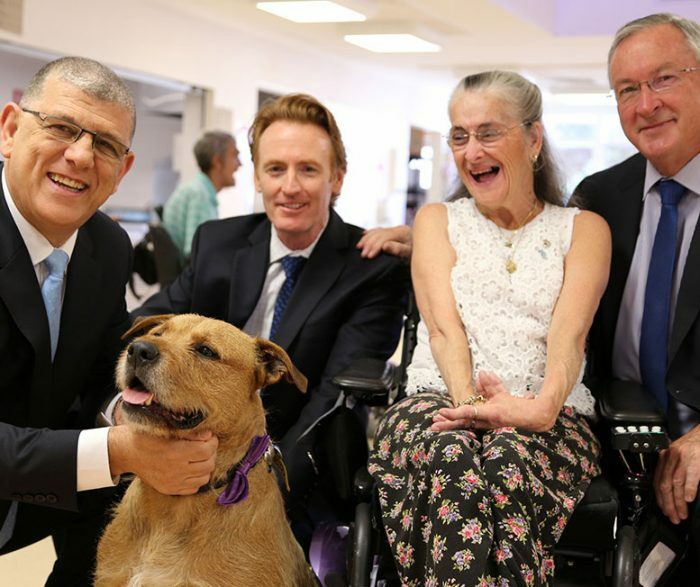 RSPCA NSW has gifted a specially trained Irish Wolfhound crossbreed, named Teddy, to a disability facility in Sydney’s north. This is the second time Venee Burges House has welcomed an RSPCA animal into their home. Tyson, a Kelpie German Shepherd crossbreed, entered the lives of the Venee Burges House residents in 2008, and lived a happy life there until when he passed away last year at the age of 13. “I will always have a soft spot in my heart for Tyson, but now I have a chance to give Teddy a new life, and I have a renewed sense of excitement and purpose,” Judith concluded. As with Tyson, veteran dog trainer Steve Austin has donated his time to work with Teddy to prepare him for his new home, focusing on calm behaviour and impeccable manners. John Ajaka, NSW Minister for Disability Services, said having a dog like Teddy in the home would have a positive impact on its residents. “I know that Teddy will bring so much joy and happiness to Judith and the residents of Venee Burgess House,” Mr Ajaka said. 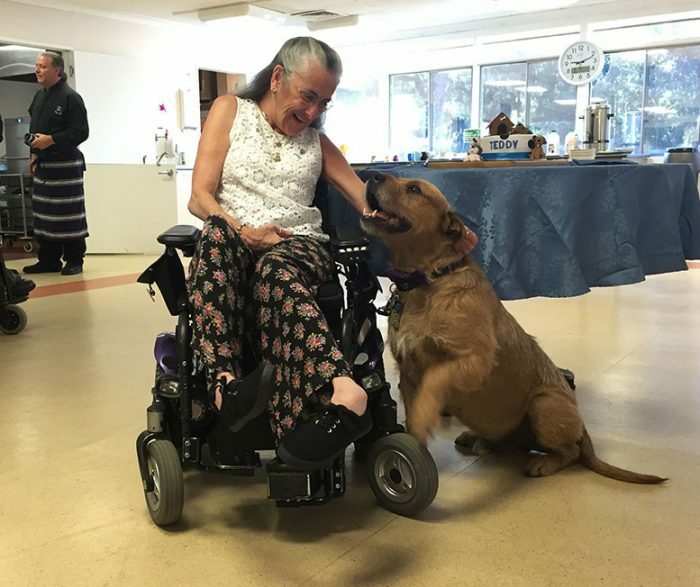 RSPCA NSW hopes to see more companion dogs in aged and disability care sites across the state.